By becoming a member of SPFE, you have an important part to play as we organize for changes in the workplace, in the city of Saint Paul, and across the state of Minnesota. Together, we have the power to make public schools work for all students. 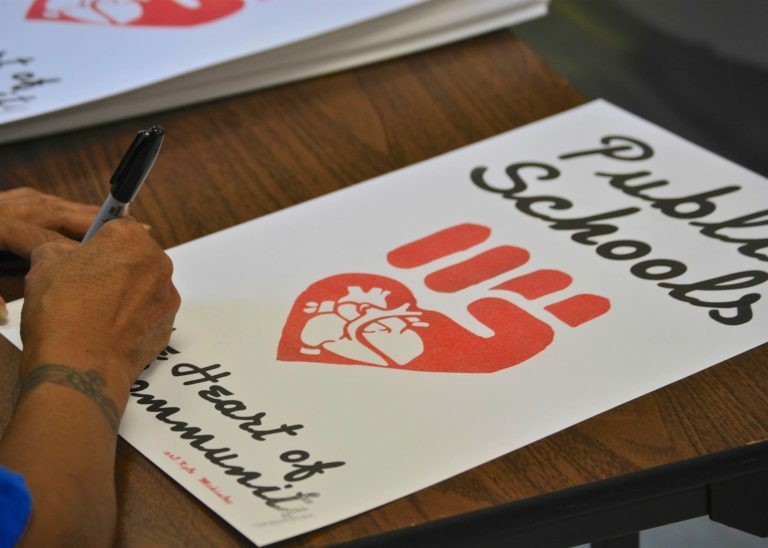 By joining forces with parents, students, community allies, and our labor partners, we can make sure public education works for all students. As a member of SPFE, your voice matters. Members elect our union’s leadership, ratify contract proposals, and serve on our Bargaining and Contract Action Teams. With your help, we advocate for fully-funded, racially equitable public schools. SPFE members have unique opportunities to grow in their professional practice as educators by accessing courses offered through our Learning and Teaching Center, most of which are offered free of charge. Your membership opens up opportunities to attend professional conferences and national gatherings on education issues. Becoming a member of SPFE gives you membership in Education Minnesota, the American Federation of Teachers, the National Education Association, and the Minnesota AFL-CIO, as well as all the benefits associated with those organizations. Members receive $1 million in professional liability insurance and legal representation for employment related issues, in addition to discounts on insurance, financial planning services, dental and vision care, prescriptions, and even travel and car rental.